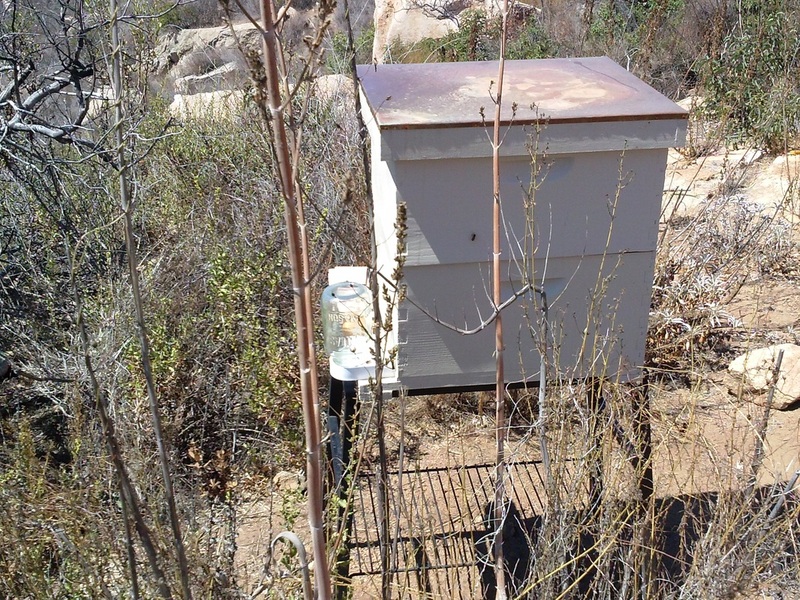 Here at White Mountains Ranch we have just recently delved into the ownership of honey bees. Bees are extremely important to our food supply as 1/3rd of all food that humans eat is directly related to pollinators. 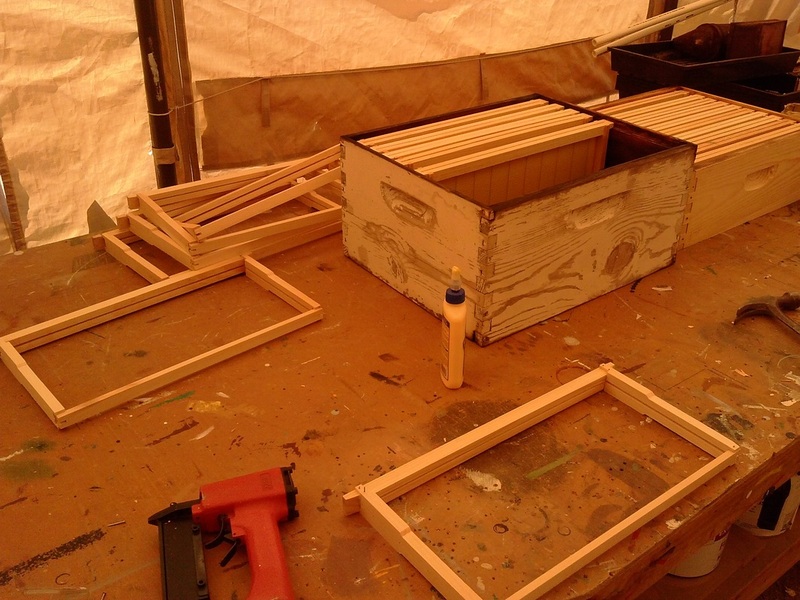 We have chosen to help the honey bee population by setting up our very own hives. Bees are flying insects closely related to wasps and ants, and are known for their role in pollination and for producing honey and beeswax. Bees are amonophyletic lineage within the superfamily Apoidea, presently classified by the unranked taxon name Anthophila. There are nearly 20,000 known species of bees in seven to nine recognized families, though many are undescribed and the actual number is probably higher. They are found on every continent except Antarctica, and in every habitat on the planet that contains insect-pollinated flowering plants. Colony Collapse Disorder;​ From 1972 to 2006, there was a dramatic reduction in the number of feral honey bees in the US, which are now almost absent. 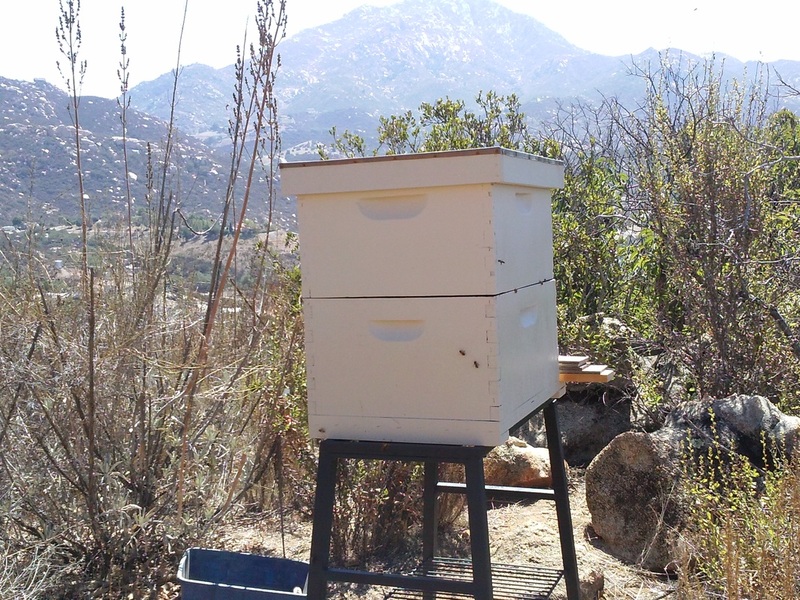 At the same time there was a significant though somewhat gradual decline in the number of colonies maintained by beekeepers. This decline includes the cumulative losses from all factors, such as urbanization, pesticide use, tracheal and Varroa mites, and commercial beekeepers' retiring and going out of business. However, in late 2006 and early 2007 the rate of attrition reached new proportions, and the term colony collapse disorder was coined to describe the sudden disappearances. After several years of research and concern, a team of scientists headed by Jerry Bromenshenk published a paper in October 2010 saying that a new DNA-based virus, invertebrate iridescent virus or IIV6, and the fungus Nosema ceranae were found in every killed colony the group studied. In their study they found that neither agent alone seemed deadly, but a combination of the virus and Nosema ceraneae was always 100% fatal. Bromenshenk said it is not yet clear whether one condition weakens the bees enough to be finished off by the second, or whether they somehow compound the other’s destructive power. "They're co-factors, that’s all we can say at the moment. They’re both present in all these collapsed colonies." Investigations into the phenomenon had occurred amidst great concern over the nature and extent of the losses. In 2009 some reports from the US suggested that 1/3 of the honey bee colonies did not survive the winter, though normal winter losses are known to be around 25%. At the end of May 2012, the Swiss government reported that about half of the bee population had not survived the winter. The main cause of the decline was thought to be the parasite varroa, however, that has not been proven, and losses are still at an all time high. 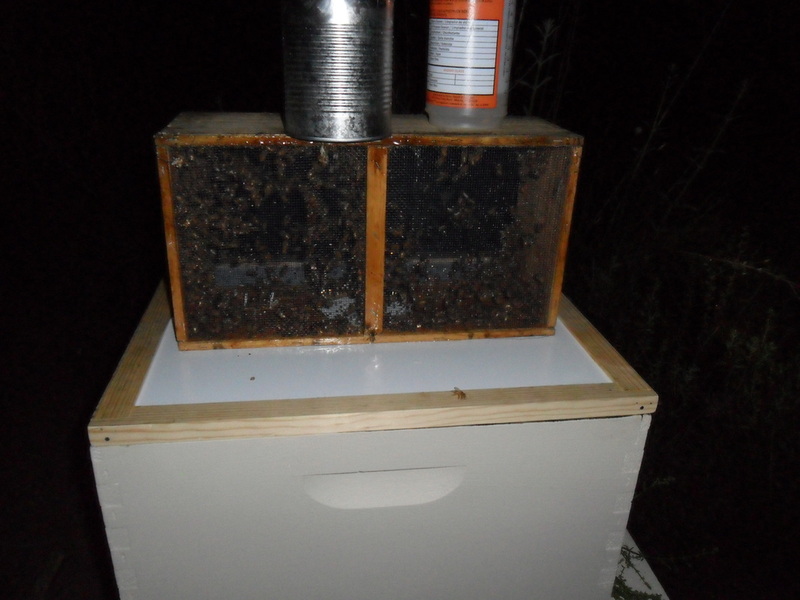 It is because of this that we have chosen to help the honey bee population by becoming beekeepers. It's just an added bonus that we'll get honey! 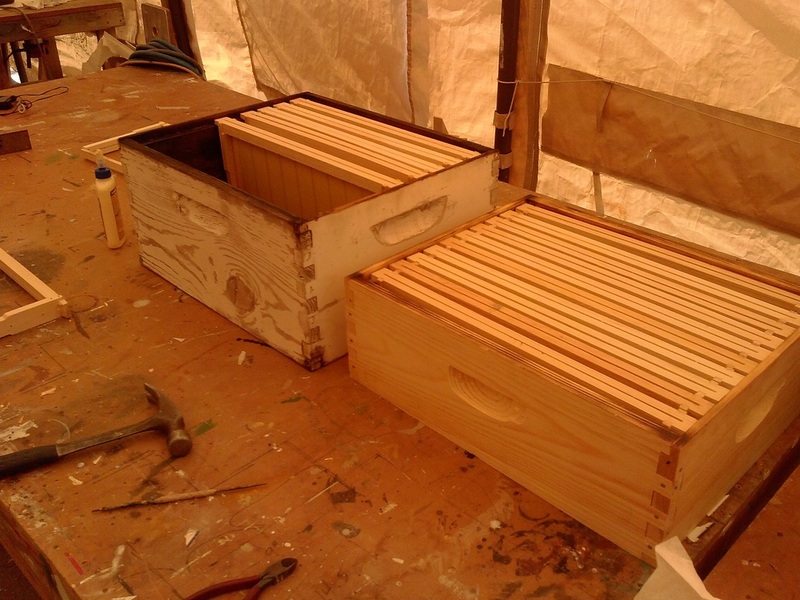 We started by buying a 3 pound "package" of Italian bees, approx 7000 bees and a queen!